Pandora is a plus sized lady who has a love of reading and music as well as size acceptance. 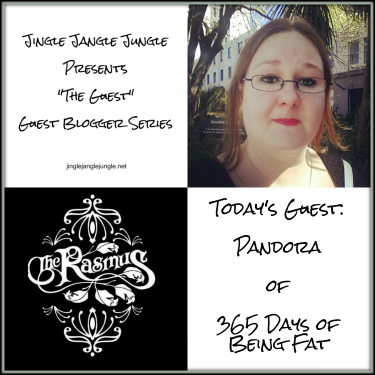 Padora started a daily blog back in 2013 titled 365 days of being fat on facebook and also very occasionally blogs at http://365daysofbeingfat.com as well as having a FB page. Pandora's dream is to publish an e-book before she dies. 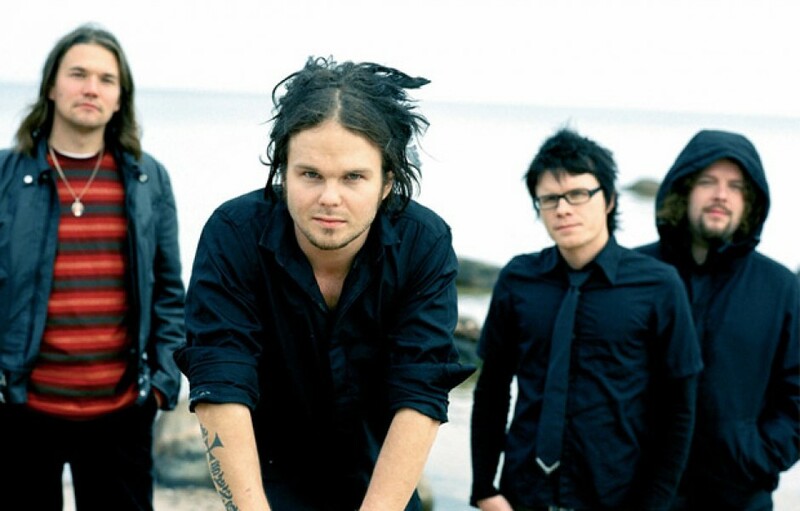 In April 2000 the band’s name change from Rasmus to The Rasmus to avoid confusion with a Swedish DJ by the same name. The album ‘Into’ is the first album with the new name ‘The Rasmus’ and not Rasmus, as well as the first album with the new drummer Aki Hakala, who prior to becoming the drummer who was in charge of selling band merchandise. It was in late 2000 that the band began working with producers Martin Hansen & Micke Nord in Sweden for their next album. 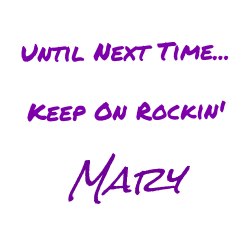 And ended up leaving their former funk sound well and truly behind. The new band style going forward was and has been alternative rock, soft rock, and Pop rock. It was also during this time that the band signed to Playground. The band spent time developing their act to meet the demands of establishing themselves internationally, not just nationally at a Finish level. According to Lars Tengroth, director of Swedish independent label Playground Music "It was like starting from scratch; we were creating a new band so to speak." They did a lot of things that were new to them – they spent a long time working on their songs before recording, they worked with producers for the first time, and they recorded outside of Finland. They already had a strong stage show but welcomed ideas in improving it further'* The Rasmus. Retrieved 2012-04-23. The first single release from Into was 'F-F-F-Falling which the band recalls "We were so nervous about that song”, “It was obviously a hit or a flop”. However the single went on to shoot straight to number one on the charts, the single sold platinum and became the biggest hit of the year in Finland. As well as being the most played song on the Finnish radio. 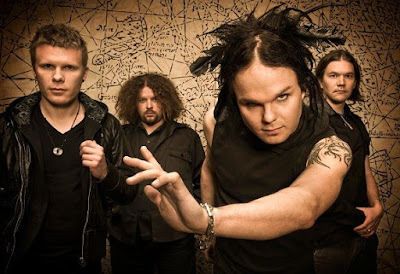 During the release of ‘Into’ The Rasmus went abroad to support acts like HIM, Roxette and Spanish rock band Dover in Germany, Scandinavia and Latvia. Best Rock/Pop Act and Album of the Year. There have been 2 versions of Into released. The original version has an orange cover and a special edition in digipak which was released 5th November 2003 by Playground Music Scandinavia/Edel Music. It contained the ten original songs plus four bonus tracks and the video of "F-F-F-Falling". It had a 24-page booklet with new photos of the band. The whole album were in black and white, and not in orange as the original version. The songs ‘Play Dead’ and ‘Used to Feel Before’ are both covers. "This song has been selected to become the first single, because it's something special. People think 'What's that? That doesn't sound like The Rasmus!' when they hear the song." "The first sentence, about not going to school on Monday. That's true, because Monday was the day to practice our new songs." Eero:"It's a slow and peaceful song. It was easy to make. Pauli had the guitar melody for the chorus and the verses." Eero:"Madness is a melodic pop-song Lauri wrote. It's about the emotions when we had to replace our drummer. We kind of drifted apart as a band." Lauri: "It's a 5-years-story. The words don't belong together but each has a special meaning." The video clip of F-F-F Falling follows two teenage girls and the band. The band are playing in what appears to be a basement or room of some sort. The teenage girls are followed through their day as they appear to be ditching school and go shopping and partying. Whilst at the end of the clip one of the girls appears to regret what they got up to during the day or how much they had drunk. The music video for "Chill" was shot by the band themselves on a tour in Stockholm, Sweden the same year. The video shows different clips of the band on stage and also on their tour bus. The name "Rasmus" comes from the word "trashmosh".